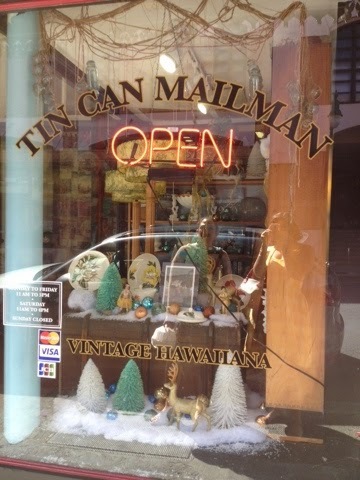 On the south shore of Oahu lies the capital, Honolulu, home to Hawai'i's Chinatown. 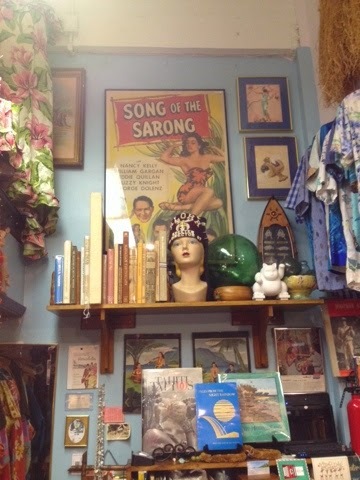 Over the years, Chinatown has played many roles in Hawai'i's history. 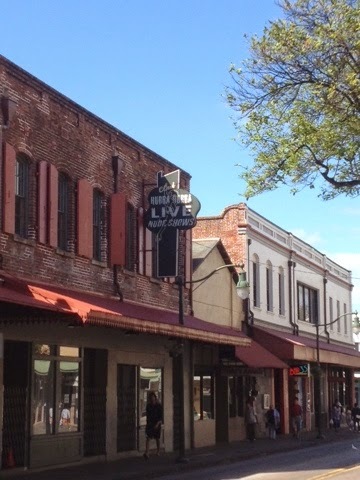 It has been an immigrant enclave, sailors' stomping grounds, a bustling shopping district and more. More recently it has undergone a cultural renaissance, blossoming into a cosmopolitan arts and culture district while still remaining the home of Oahu's vibrant Chinese culture. 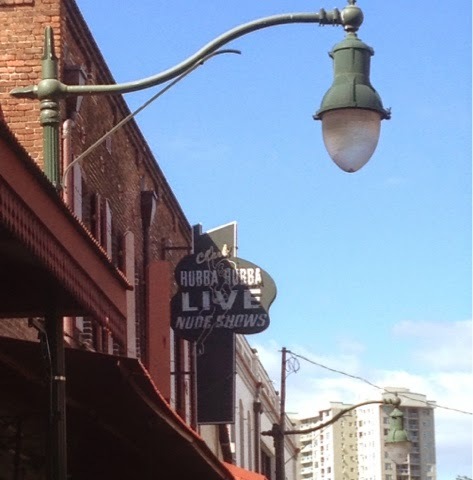 A reminder of Chinatown's seedy past: Club Hubba Hubba was once the number one burlesque venue in Honolulu in the 1950s and shut down in the 90's. All that's left today is the sign. Totally tacky, but I just love it! I always look for it whenever I'm in the neighbourhood. 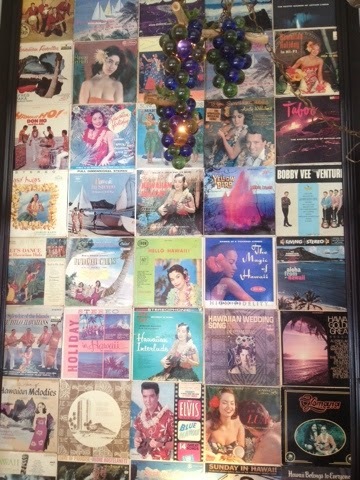 A wall of Hawaii-themes record sleeves cover the wall near the entrance. I'd been following their instagram page for some time and decided that this past trip was the time to head into Chinatown and find them. If you're anything like me, plan to spend at least an hour in there. 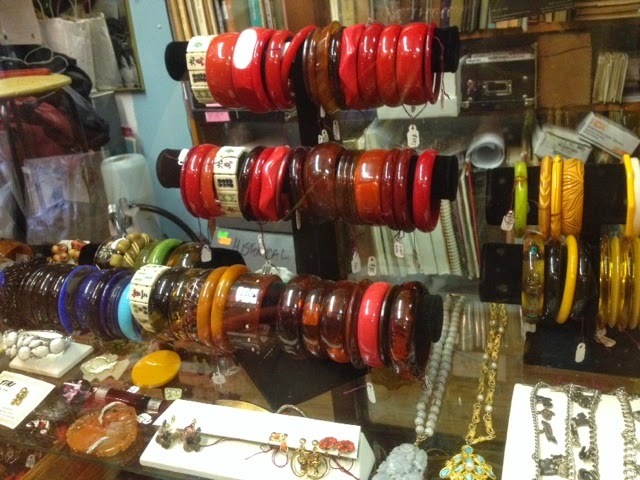 I spent a good deal of time poring over their bakelite collection. The shop assistent I spoke with hand restores the bakelite himself. 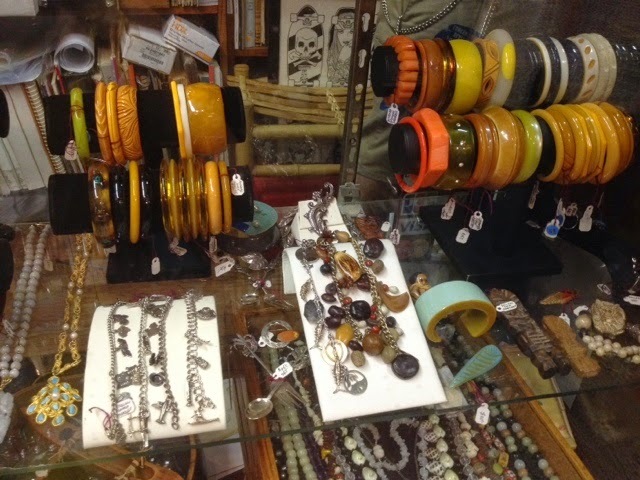 I didn't go home with anything, but next time I'm home I'll be sure to visit again...and who knows, maybe I'll finally get a bakelite bracelet! 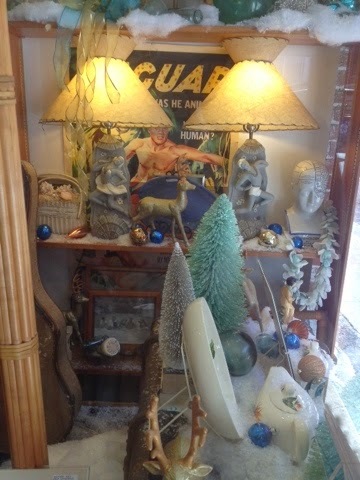 This place is chock full of midcentury Hawaiian treasures. So much to look at! If I lived in Hawaii I'd definitely be buying some of their lamps or bowls, but getting that back to Sweden would be such a hassle. Guess that just means there's more for you, Oahu people!